After decades of staying out of politics, Egypt’s Salafis have begun forming their own political parties in hopes of influencing the shape of Egypt’s new political order. No less than four parties have been announced, perhaps with more to come. Salafis are Muslims influenced by teachings from Saudi Arabian clerics that seek to return to the purity of Islam as practiced by the prophet and his companions–as they interpret it. 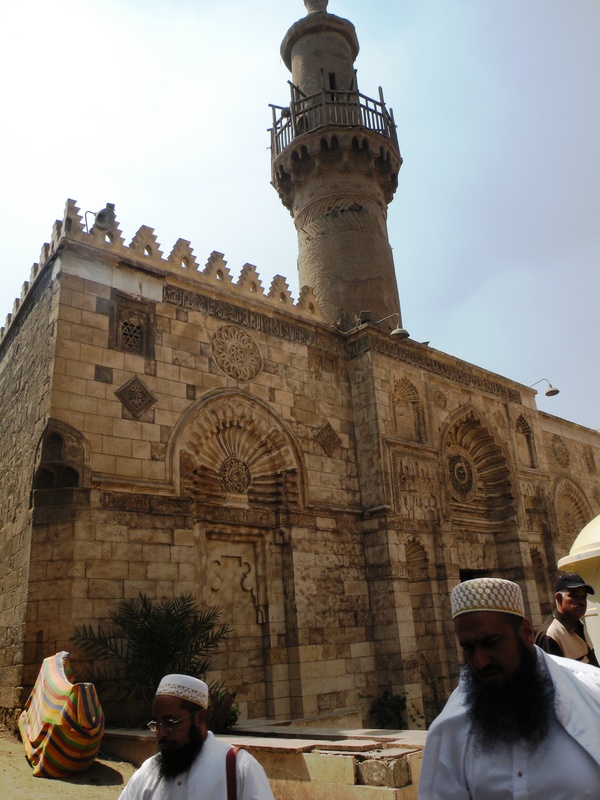 Salafi preachers have propagated their message in Egypt through mosque schools, conferences, youth activities and social services. The movement has traditionally remained aloof from political participation, and many preachers have for decades denounced involvement in politics from their pulpits. This made sense during the days of the Mubarak regime, but refusal to engage in party politics in the post-regime era could make Salafis increasingly irrelevant. Yet participating in mainstream politics runs counter to decades of Salafist preaching, and may change the nature of the Salafist movement in Egypt. In order to work out just how Salafis should participate politically in the forthcoming elections and constitutional reforms, several prominent Salafi figures including Mohamed Hassan, Mohamed Hussein Yaqoub and Gamal al-Marakby in May formed the Scholars Shura Council, headed by Abdallah Shaker. It issues rulings governing how Salafists can and should take part in the political process. That the Salafists, who were heavily suppressed by the Mubarak regime, benefited substantially from the uprisings but did not take part in them, has been a sore point for many who took part in the protests. But Nader Bakkar, a spokesperson for the Salafi Nour Party, said at a Sep. 15 rally in Alexandria that it was good that Salafis did not take part in the 25 January revolution, because “the Americans would have ordered Mubarak to massacre us all.” The jest is a reference to a widely accepted belief that Mubarak suppressed the Salafis in part to pander to US fears of Muslim fundamentalism (although the official reason was Islamist involvement in the assassination of his predecessor, Anwar Sadat). The first Salafi party to form was the Nour (“Light”) Party, founded by Salafists in the Mediterranean city of Alexandria. It received approval from the government on June 12. Party founders claim that although the members belong to the Salafist school of thought, no clerics are associated with the party. “The party is not religious, but it has a religious frame of reference,” founder Nasser Metwalli told Al-Masry Al-Youm, in a May 19 story. The Nour Party stems from the Salafi Da’wa, established by students at Alexandria University in the 1970s, and currently one of the most popular Salafi organizations in Egypt. The Nour Party also includes several leaders from the disbanded National Democratic Party (NDP) of Hosni Mubarak, according to an Aug 15 story in Al-Masry Al-Youm. The Asala (“Fundamentals”) Party party was founded in July and approved Aug. 28. It was founded by Adel Abdel Maqsood Afify, Ihab Mohamed Ali Sheeha and Mohamed Ibrahim Abdel Fattah Sultan, and is closely associated with the teachings of preacher Mohammed Hossan. The Asala party has said it seeks to apply Shari’a rulings, not just principles, in interpreting law. But Afify has said his party is less concerned with putting Salafis in political office than with influencing the revision of the constitution. The Asala party seeks clauses that state that Islamic Law (and only Islamic Law) is above the constitution, and that articles of the constitution cannot contradict with Islamic Law. Asala also seeks to ensure that the constitution does not define the state as a civilor secular entity. A third Salafist party, the Fadila (“Virtue”) Party was announced May 15 on Facebook by a group of Salafi Muslims based in Cairo. The founders insist that theirs is not a “Salafist” party but rather a political party that seeks to spread justice and equality and to restore Egypt to its former glory as a leading country, in accordance with (Salafist) Islamic principles. However, it’s hard not to see it as a Salafi party when the chairman, Adel Abdel Maqsoud Afify (former director of the Department of Passports and Immigration under Mubarak), is the older brother of a well-known Salafi preacher, Mohamed Abdel Maqsoud. And, according to the web site, the party will also be led by Al-Azhar University law professor Mohamed Abdu, and Sheikh Farahat Ramadan, a leading Salafi preacher. The fourth political party to be formed by Salafis is the Islah Party, launched Sep. 16 by a group of young Salafis who say they look to Al-Azhar, rather than one particular leader, as their reference on Islamic issues. Spokesmen for the party include Khaled Mansour and Essam Abdel Baset. All the parties so far have continued to adhere to a general principle that preachers should not run for public office. Creating a political party in Egypt requires 5,000 founding members, and the new organization must persuade the Political Parties Affairs Committee that the party has no religious, gender, class or other sectarian biases. Most of these parties include women and Coptic Christian founding members as evidence of their non-sectarian bias. As of this writing, the Fadila and Islah Party have yet to be approved. A fragmented Salafist movement divided into multiple parties can only be a good thing from the viewpoint of the moderate Islamic and secular parties. But leaders have said in several articles that the parties will probably run as a single “front,” perhaps even throwing their weight behind the Muslim Brotherhood’s Freedom and Justice party while trying to keep it from drifting to far toward the left. So far, however, these groups are themselves multiple and fragmented, including the Democratic Alliance, the Salafi Front and other names. If you totally isolate Islamists or let them engage in politics without any regulations, this can be catastrophic.